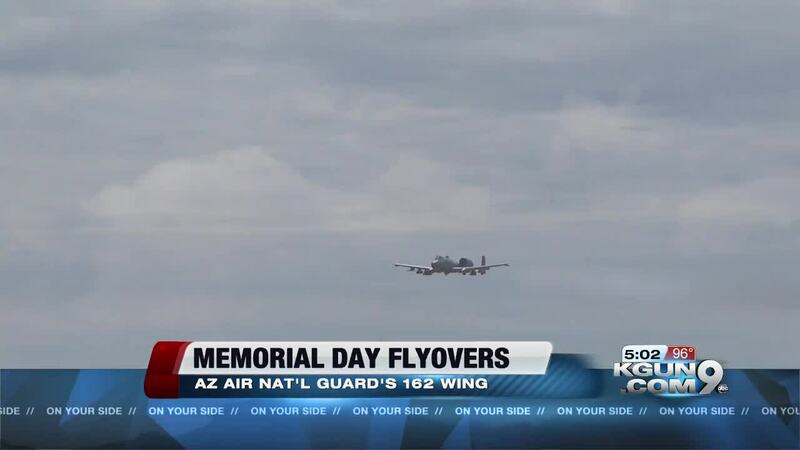 The Arizona Air National Guard's 162nd Wing is scheduled to conduct F-16 flyovers this Memorial Day. Memorial Day Parade at Tucson Estates Park, Tucson-9 a.m.
Memorial Day Service at South Lawn Cemetery, Tucson-9:10 a.m.
Memorial Day Service at East Lawn Palms, Tucson-9:20 a.m.
Memorial Day Service at Purple Heart Park, Tucson-10 a.m. 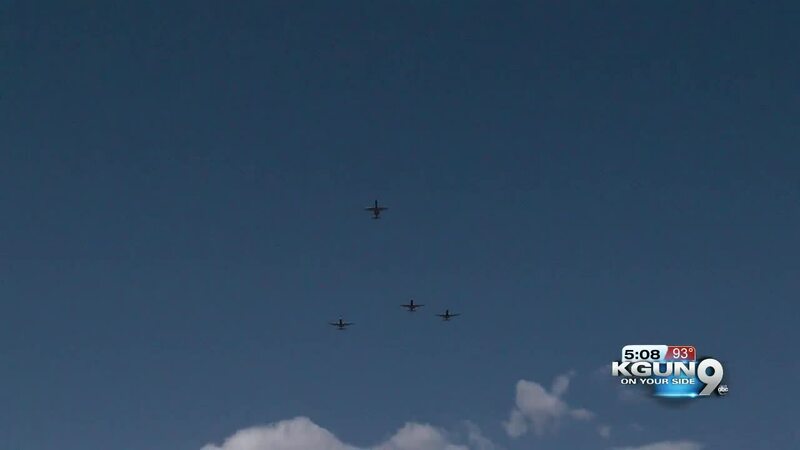 The 162nd Wing conducts flyovers at Air Force-approved patriotic events. The men and women of the Arizona Air National Guard are proud to serve our nation and state, and equally proud to perform the solemn mission to honor the service of those who have died serving our great nation, USAF Captain Mary Hook said.